Mount Fuji at 3776 meters is Japan's highest mountain and the focal point of the sprawling Fuji-Hakone-Izu National Park. ​Visible from Tokyo on a clear day, the mountain is located to the west of Tokyo on the main island Honshu, straddling the border between Yamanashi and Shizuoka prefectures. ​The Japanese always refer to Mt. Fuji as Fuji-san, but the -San here simply means "mountain", and has nothing to do with the honorific "San" for people's names. The Fuji Five Lakes "Fuji-goko" are a group of five small lakes on the North side of Mount Fuji. From East to West, they are Lake Yamanaka, Lake Kawaguchi, Lake Sai, Lake Shoji and Lake Motosu. 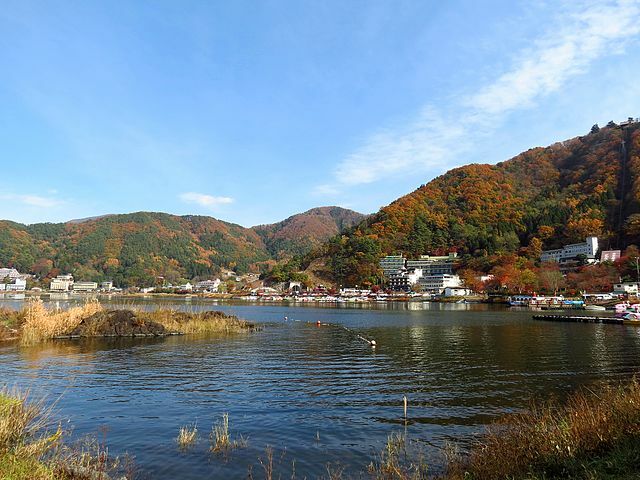 In addition Lake Kawaguchi has parks, art museums, hotels, hot springs and many other facilities in the territory of Fujikawaguchiko Town which surrounds the Lake. For a guidebook visit Tourist Information Centers. A sightseeing pleasure boat takes passengers on a trip around the lake to enjoy superb views of Mt. Fuji from the deck. 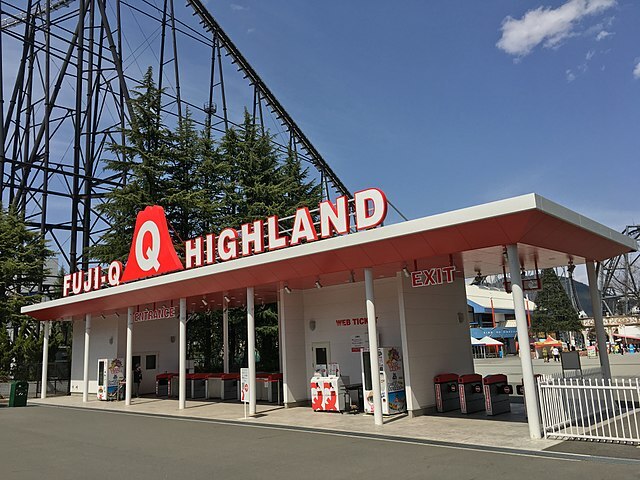 For a little excitement you can visit Fuji-Q Highland, a popular roller coaster theme park in the nearby Fuji-Yoshida City. ​Several of its roller coasters hold or have previously held various world records. With the goal of reaching the highest point in Japan, about 300,000 people visit in summer to climb Mount Fuji. The peak season for climbing Mount Fuji is during the school vacations which last from around July 20 to the end of August. 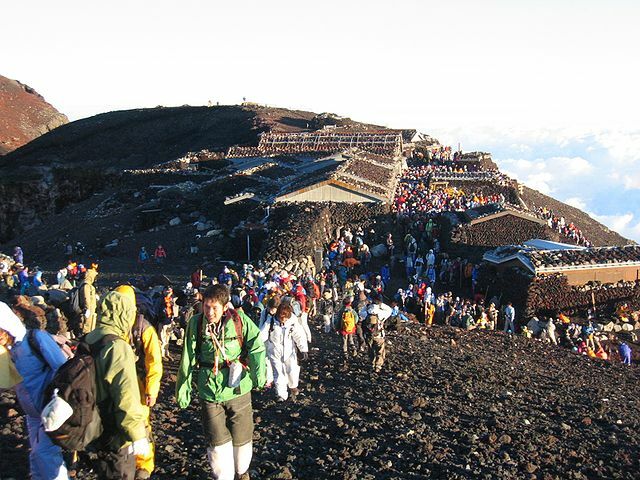 The peak of the peak is reached during the Obon Holiday in mid-August, when climbers literally have to stand in queues at some passages. ​With many mountain cottages along the way, the Kawaguchiko route provides a sense of security and is a popular way to climb. ​On average, it takes approximately six hours to ascend the mountain and three-and-a-half hours to descend. The sunrise takes place on this side of the mountain. Mount Fuji & Fuji Five Lakes "Fuji-goko"
The official climbing season lasts for only a little over two months, from July to mid-September. The exact dates vary slightly from year to year and also per trail - see the Mt. 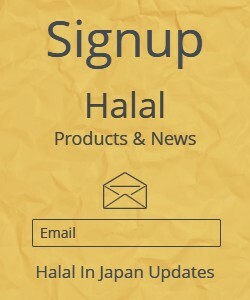 Fuji official website for this year's dates. ​Even during these months, when Tokyo often swelters in 30°C heat, temperatures at the top can be below freezing at night and climbers must dress adequately. Climbing outside the official season is extremely dangerous without alpine climbing experience and equipment. Nearly all facilities are closed in the off season. The weather, unpredictable any time of year, is downright vicious in the winter "temperatures below -40°C have been reported up top" and there are cases of people being literally blown off the mountain by high winds. 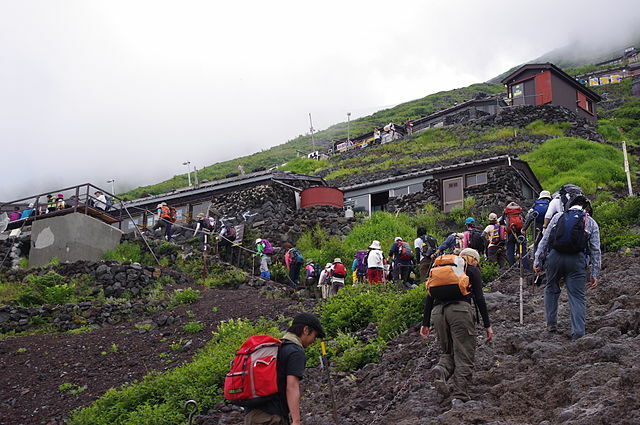 ​All roads to the 5th station are shut out off season so you will have a long walk up. But if you insist, you're strongly encouraged to at least file a climbing plan with the Yoshida police. Mt. 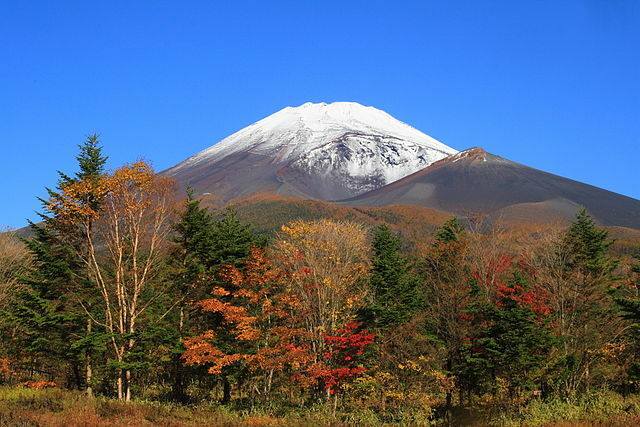 Fuji can be approached from all sides, but note that transport schedules are sharply cut outside the official climbing season in July and August. For up to date information, the city of Fujiyoshida as well as Ministry of Environment maintain a Mt. Fuji access page listing current routes and schedules. By Bus - The easiest option for reaching the slopes of Mt. Fuji is to take the Highway buses from Shinjuku or Shibuya Stations in Tokyo. ​Buses are available from Yokohama Station as well. The direct bus takes 2 to 2.5 hours, depending on traffic, and takes you directly to the start of the climb at Kawaguchiko 5th Station.​ The Fujikyuko Buses also cover many routes including Narita and Haneda airports. By Train - There is no direct access to Mt. Fuji by train, but you can get pretty close and change to a bus for the rest of the way, and doing it this way allows you to use any of the ascent or descent routes. JR East Railway offers a Mt. 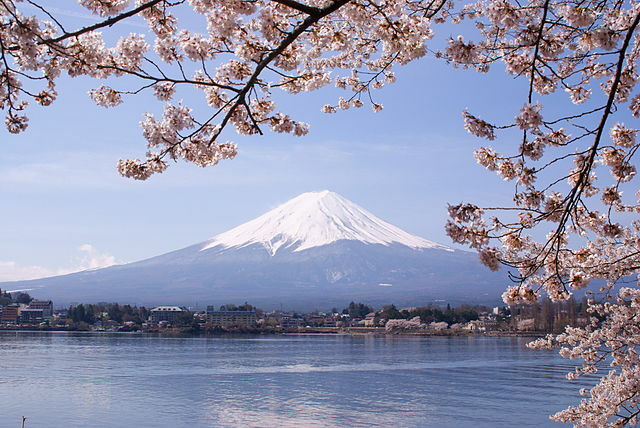 Fuji special round trip discounted ticket valid for train and bus travel between Tokyo and Mt. Fuji, which saves about half off the price of the regular fare. 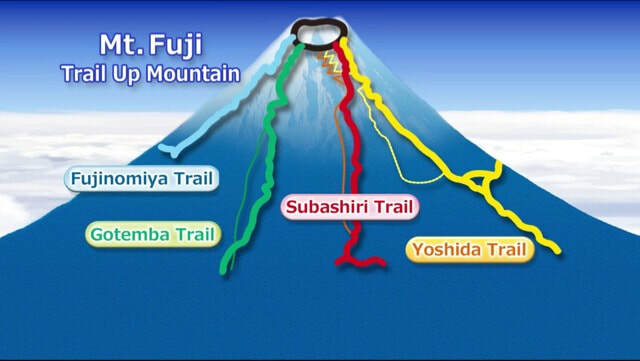 Mount Fuji has four climbing trails: the Yoshida Trail, the Subashiri Trail, the Gotemba Trail and the Fujinomiya Trail which are maintained. There are four 5th stations on different sides of the mountain, from where most people start their ascent. Trails open and close at different times of the year due to remaining snow, but can usually be used from early June to mid-September. 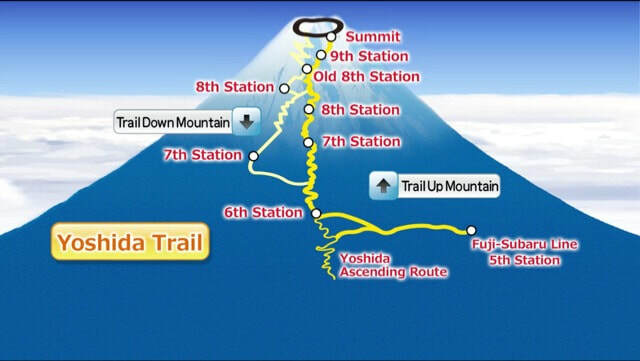 Each starting point of all the routes, which is around the 5th station, can be reached by car. Paved roads go as far as the 5th station, halfway up the mountain. But during the climbing season access by car is restricted. The restricted periods and sections differ from trail to trail, so be sure to check before you go. 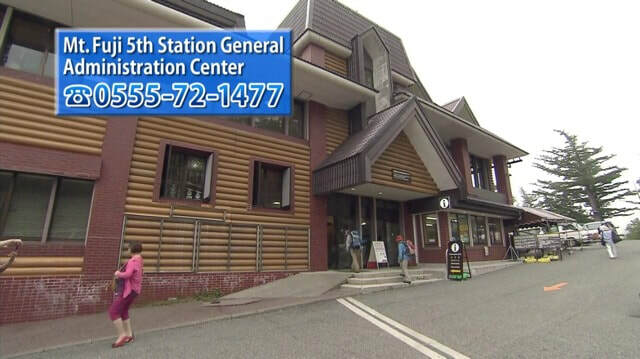 While access by car is restricted, you can reach the 5th station from the base by shuttle bus or taxi. To prevent altitude sickness, it’s important to give yourself 1 or 2 hours to get used to the drop in air pressure. 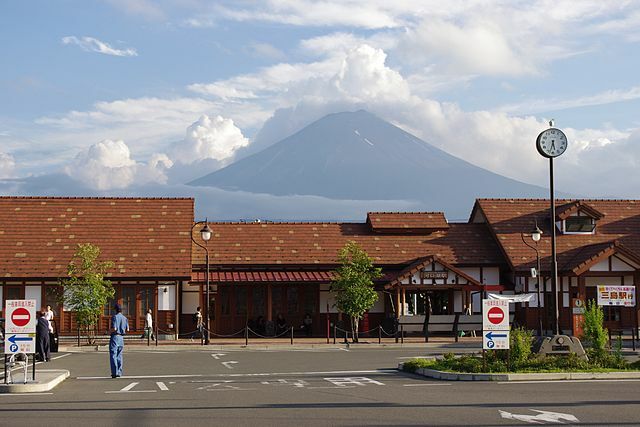 ​Before you set off, be sure to gather information at mount Fuji 5th station "General Administration Center". The ascent to the summit does not pose any major difficulties regarding climbing skills. Only at some points, the terrain is rather steep and rocky. 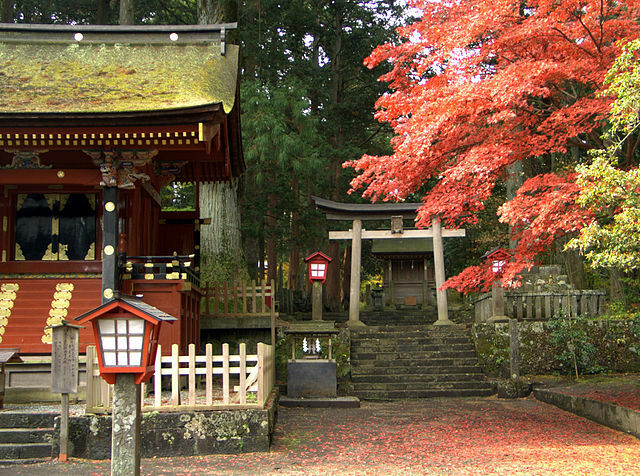 At the 6th station, the trail also merges with the traditional "Yoshida Ascending Route". 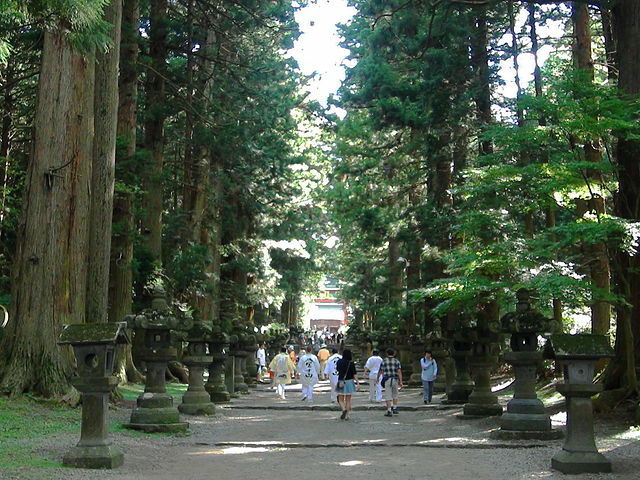 This ascending trail starts at Kitaguchihongu Fuji Sengen Shrine, which is a site famed for its plants, birds and religious history. The recommended way, is to climb to a mountain hut around the 7th or 8th station on the first day, spend some hours sleeping there, before continuing to the summit early on the second day. Note that the sunrise takes place as early as 4:30am to 5:00am in summer. The central crater on the top of Mount Fuji is largely depressed. 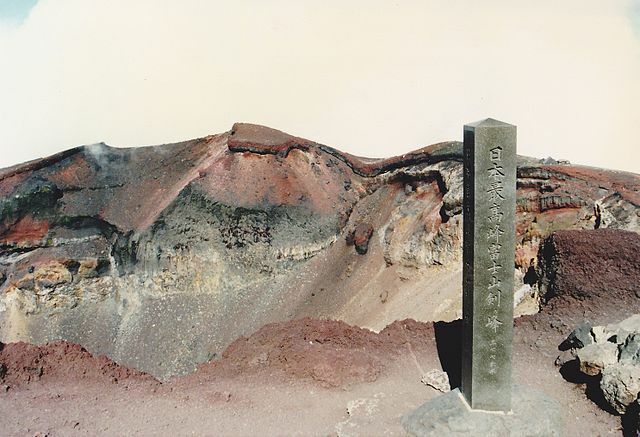 To walk around the edge of the whole crater is called "Ohachimeguri". ​You shouldn't miss it if the time and your physical strength permit. You'll be fascinated by the magnificent scenery. 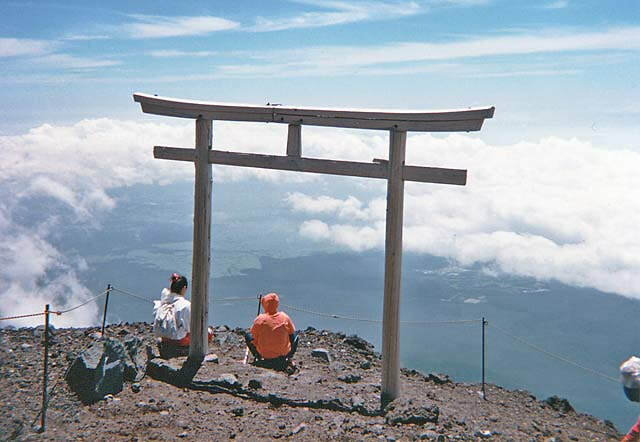 Walk toward the Mount Kengamine Peak "3,776" meters which is the highest peak of Mount Fuji. 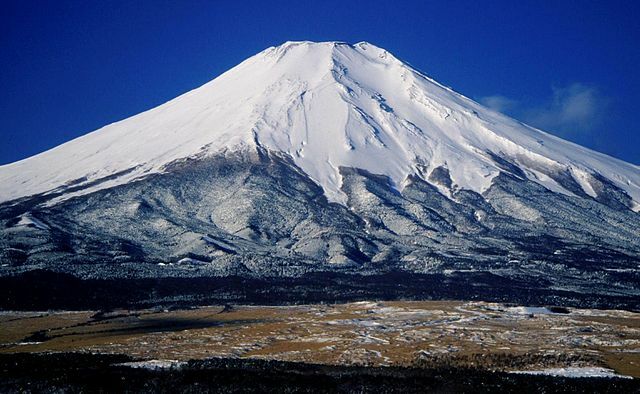 ​Both of Yamanashi and Shizuoka prefectures are committed to protecting the environment of Mount Fuji and the safety of climbers. 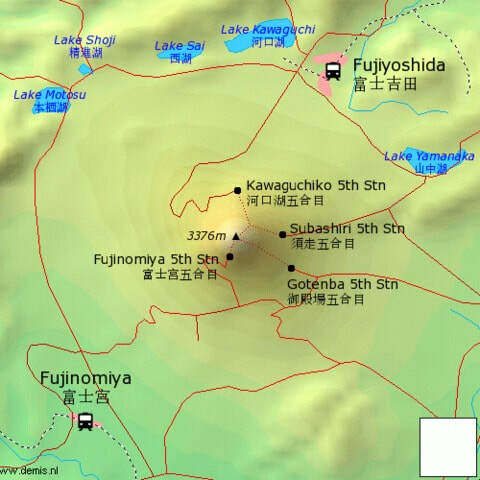 These prefectures ask all the people who climb Mount Fuji to pay a "Mount Fuji Preservation Fee". The fee is 1,000 yen per person. You can pay this fee at the "General Administration Center" at the "Fuji-Sabaru Line 5th Station". Maintaining and managing restrooms under Mount Fuji’s difficult natural conditions require a great deal of expense. 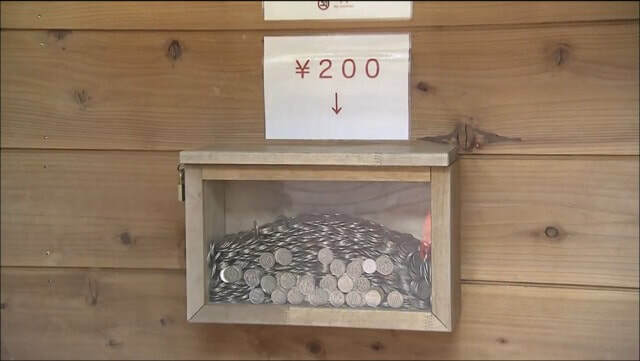 Besides the "Mount Fuji Preservation Fee", to help cover these expenses, climbers are asked to give a 200 or 300 yen tip. Have some coins ready. Taishikan Hut Provides Vegetarian and Halal food for staying guests on request in advance. Proper Shoe: Hiking boots that have hard soles and cover the ankles are recommended. Gear: Use a backpack with capacity of 30-40 Liters that’s easy to carry on your back. Sunglasses protect eyes against UV light and blowing sand. Hat protects you from sunburn and sunstroke. Ascending trail is not illuminated at night, so bring a headlamp. You can buy water and food at mountain huts. Bring as much water and food as you need. At least 3 liters of water are needed to climb up and down from the 5th station. Also, be prepared to carry home all your garbage as there are no garbage bins.